Big thanks to Sammy in the Sales department for all his help with a Honda Pilot! Definitely go see him for your next new Honda! All in all a great experience buying our certified 2016 Accord from Sammy A. He is a honest, so knowledgeable, and personable. So glad he was back to help us. We couldn't have asked for a better experience. Not so sure we would have made the purchase without him. He found us the perfect car. Also Vanessa S. was very helpful with the financing. She put us at ease with the process. Sean and Vanessa were fantastic! What a great team they made. Excellent customer service and very personable. Highly recommend as pleasurable experience and our new CRV is awesome. In the past 35 years I’ve purchased 7 cars. My most recent purchase of a 2019 Honda Accord Sport was by far the most pleasurable experience of all. Westbrook Honda salesman, Sean Bowen was knowledgeable, courteous, friendly, efficient and thoughtful. He patiently and competently answered all my questions and made me feel like I was his number one priority. The whole process from start to finish was so easy due to Sean’s skill and attention to detail. I would highly recommend him! Dan Alford in finance also went above and beyond to be helpful. 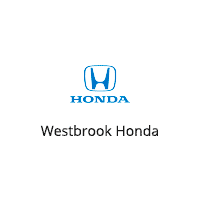 I highly recommend Westbrook Honda if you are on the market for a new car! I met with Dan Fancher and he greeted me at the door even though I had no appointment and just walked in. He was so professional and attentive from the very beginning and really tried to understand what I wanted. I am extremely indecisive so I mentioned to him that although I like the Pilot, I really wanted to try the large suvs from comparable companies, so next thing I knew he asked when I could come in next and he had all the cars from other dealerships waiting for me to test drive so that I felt confident with my decision. He even did thorough research on every single car based on the criteria that was important to me. After test driving, he knew I still was not ready so he suggested taking the car home that I preferred the most to see if it was really the right one. Well, in the end it was exactly what I needed to make my decision! Still even when I was ready to sign papers, he ensured that everything was exactly as I wanted and hoped, especially with the cost! I work hectic hours so I could not get back to the dealership until 45 minutes to close, but Dan stuck around even until after meeting with Vanessa Seliokas to go through all final paperwork! I mean, what service!! Vanessa was also amazing and explained everything so thoroughly so that I had no doubts even ‘til the last signed piece of paper. I have had to go in a couple times since I purchased the vehicle to get a couple extra things and it is always around my schedule and everyone greets me with a smile and remembers thw car I purchased, even those that I did not personally work with. Manny Costas is the manager and he ensures to greet every single person with a handshake and a smile and get to know you on a personal level, which I love! This dream team was phenomenal and I feel like I have been inducted into such a great family! Absolutely ask for Dan Fancher the next time you are looking for a car at Westbrook Honda! You will not be disappointed!